You are invited to join Chief Fire Officer Mick Crennell and colleagues to discuss how Avon Fire & Rescue Service (AF&RS) intends to use our resources to help protect the public for the future as outlined in the draft Service Plan. The Plan identifies the main risks that the Service needs to consider when planning for the future, and in particular, the way it responds to emergencies and non-emergencies, its ‘response standards’, and its response to automatic fire alarms. The community meeting will take place on Tuesday 19th February at the Vassall Centre in Fishponds, Bristol, between 6-8pm and will begin with a welcome and introduction by CFO Mick Crennell. This will then be followed by a presentation on the draft Service Plan by the Internal Improvement Team Group Manager Justin Hobbs and Risk Reduction Group Manager Stephen Quinton. During the evening, there will be an opportunity for local people attending to put their questions, about the draft Service Plan, to the Chief Fire Officer and the two Group Managers during an open question and answer session. Mick Crennell said: “This is an opportunity for local people to come and have their say on the draft Service Plan. “As a Service, we are here solely to serve our community and this Service Plan is about achieving that in the best way possible. “Every proposal is based on data and intelligence and every proposal will mean the Service is stronger and more responsive to the risks of the local area. “But we need you as well. We want the local community to engage with us on this draft survey and ask any questions they may have. Our strategic approach over the next three years, as laid out in the Service Plan. Our proposal to change our response standards from a model based on population density to matching our response to the level of risk people face. Our proposal to change how we respond to automatic fire alarms. This would mean higher risk premises would still receive a proportionate response but high-frequency calls to alarms in low-risk premises would not continue to receive an automatic response. This will serve to ease organisational demand and allow our staff to maintain their focus on prevention, protection and risk-critical training activities. 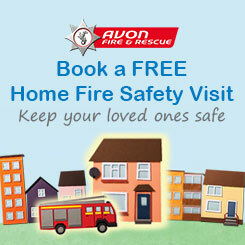 You can view the Plan by visiting the Avon Fire & Rescue Service website – www.avonfire.gov.uk - and people are encouraged to share their feedback by completing the online survey.